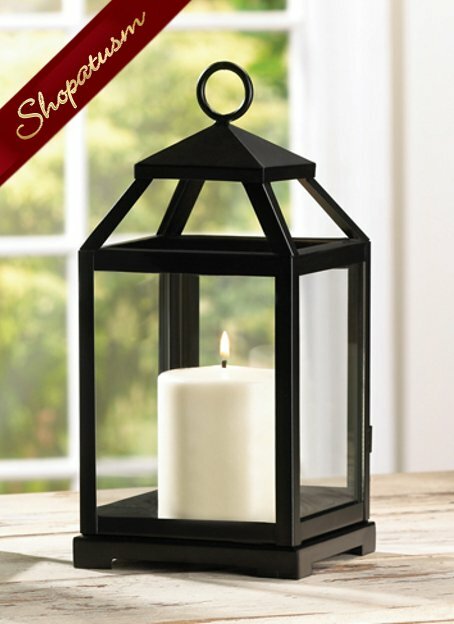 This is for a Black Square Candle Lantern, will make a great table centerpiece at weddings, parties, events or special occasions, buy wholesale from Shopatsm. Squared glass-paned lantern gets geometric appeal from a simple silhouette and classic matte-black finish. Loop at top for hanging; can also stand freely on table or shelf. Metal and glass. 5 1/2 inch x 5 3/4 inch x 12 inch high. Holds pillar candle.